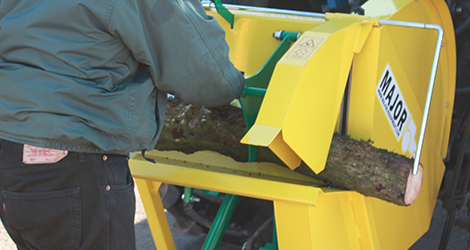 The MAJOR Swinging Saw Bench fits on the tractor’s 3 point linkage and can cut up to 28cm (11”) in depth. It is equipped with a depth gauge and an extension piece for holding longer logs. 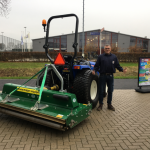 The machine is fitted with wheels and an extending handle allowing the operator to easily tow the machine by hand into storage. 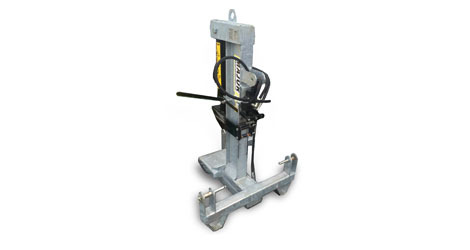 For operator safety, both hands are used in locking the material in place and for operating the swinging bench. The saw blade can be isolated from the PTO drive by the red pedal located at the base of the machine.